Sara sledding through town with a quick stop at Joe’s Bar winter 2010. Oh, the good old days. 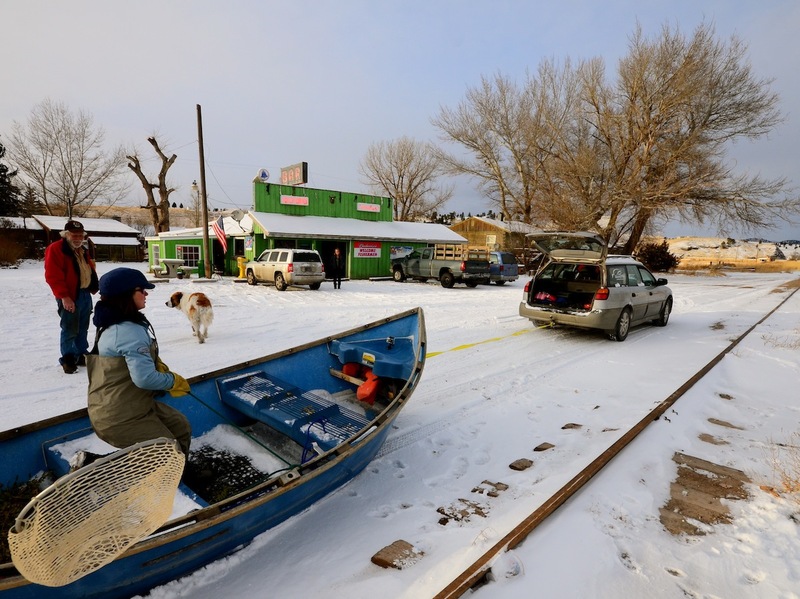 It is drift boat sledding time in Craig again this season. Will we see you sledding through town? We’ll see a couple inches of snow falling from the sky amongst seasonably cool air temps keeping us close to the fire today. Not much about here man. Enjoy the Spey Vid below. It helps us get through the cold times. Like the winter months. Both Sara and Beth in this winter spey video from several years back. Fishing longer and heavier rods than we fish today! Come by and enjoy the trout spey selection here at Headhunters of Craig!